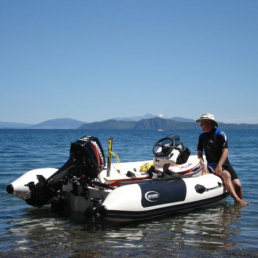 Whether you’re looking for a new yacht tender, a safe and comfortable boat to take the family out on, or a craft designed for some serious watersport and fishing action – Explorer has something for everyone. 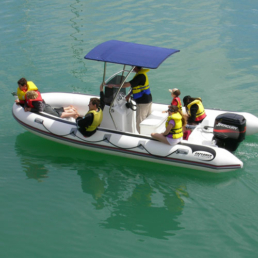 Specialists in designing and building recreational RIBs and Jet Tenders, we are well known for our high standard of quality RIB craftsmanship. Our focus is on crafting functional boats of a high quality with versatility and style, that last. Established in 1999 our highly skilled and experienced team are renown for their quality craftsmanship. Based in Auckland we are proud to be a NZ owned and operated company producing NZ’s best RIBs. 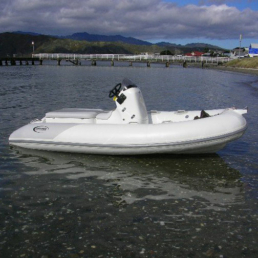 Purpose designed to complement jet technology, our tenders can be relied upon to carry you to shore with ease, comfort and style. 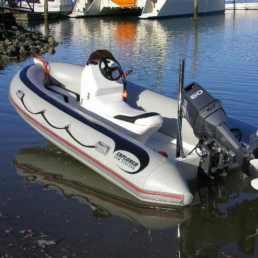 Ranging from 2.85m through to 4.8m, we can easily customise your tender to match the look and finish of any vessel. With a wide range of quality componentry and accessories Explorer will ensure you enjoy the journey and have some fun en-route too. Whether it’s wakeboarding, water-skiing, fishing, diving or day tripping – we are renown for our exceptionally crafted Outboard RIBs. Ranging in size from 4m right up to 7.8m you can get out wide on your next ocean adventure, knowing family and friends are safe on board. 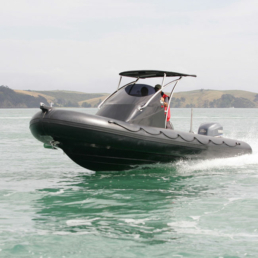 Our RIBs are designed to explore harbours, bays and islands – with a good dose of action along the way. 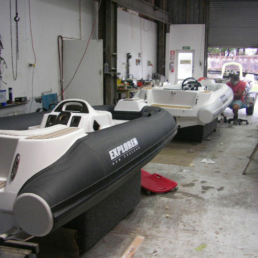 Explorer service, repair, refurbish and finish a wide range of craft in addition to our core recreational RIB and Jet Tender design and builds. Retubing is a highly sought after service, particularly for PVC tubed craft due to UV damage. 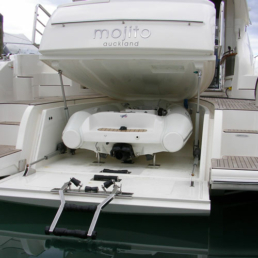 We also repair fibreglass hulls and repair and replace other componentry and accessories. 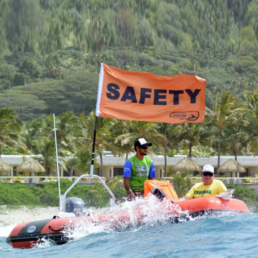 The Explorer team also act as advisors to film production companies and commercial ventures requiring some boating know-how and advice around the right craft for a specific environment and purpose. 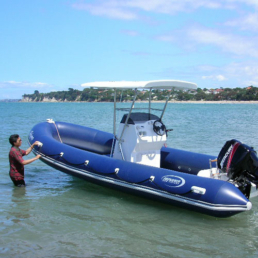 Established in 1999, Explorer Boats has become synonymous with top quality jet tenders and recreational RIBs in New Zealand, Australia, the Pacific and beyond. With a focus on crafting functional boats of a superior quality, Explorer is comprised of a small team of highly skilled and experienced boat builders. From their base in Auckland’s North West township of Kumeu, Explorer consistently output craftsmanship of a superior standard, building on a long and reputable history producing NZ’s best RIBs.